To have the motion reconsidered, it would require a two-thirds majority vote in favour of the project from council, which they weren’t able to reach. The motion will not go to referendum. CSU Finance coordinator, John Hutton, pointed out that SEIZE’s second referendum question, which requests a $0.35 per-credit fee-levy from the CSU’s Student Space, Accessible Education, and Legal Contingency Fund, would put it in jeopardy, as it has recently been lowered from $1.00 to $0.39 per credit. With $0.04 of the SSAELC fund already going to other projects, the fund would be brought down to -$0.01 per credit, said Hutton. The SSAELC fund serves as a safety net for the CSU, were the administration ever to take legal actions against them. It could also be used to build a CSU building, said General Coordinator Sophie Hough-Martin. But, despite an amendment, there still was not enough support from council to have the project reconsidered. She added that he ignored her advice that SEIZE would need to request council’s consent for amendment to student union fees, and that only council has the authority to change the amount of the student union fee. “Additionally, Marcus has misrepresented the CSU’s by-laws several times publicly, stating that the council doesn’t have the authority to do what they have done,” Hough-Martin said, stressing that they do, in fact, have the authority. Councillor Samuel Miriello and Peters felt the motion was shut down out of bad faith at the previous meeting, despite strong support from students with 900 signatures on their fee-levy petition and endorsement from The Hive’s Board of Directors. They said that council had shut down the project as they disagreed with the ideology, rather than focusing on the proposed budget. Councillor Rory Blaisdell worried that conflicts of interest may also be at play, as The Sociology & Anthropology Student Union, of which Peters is a member, released a letter in support of the project without being signed by all its executives–giving no indication of who wrote it and whose views it presents. 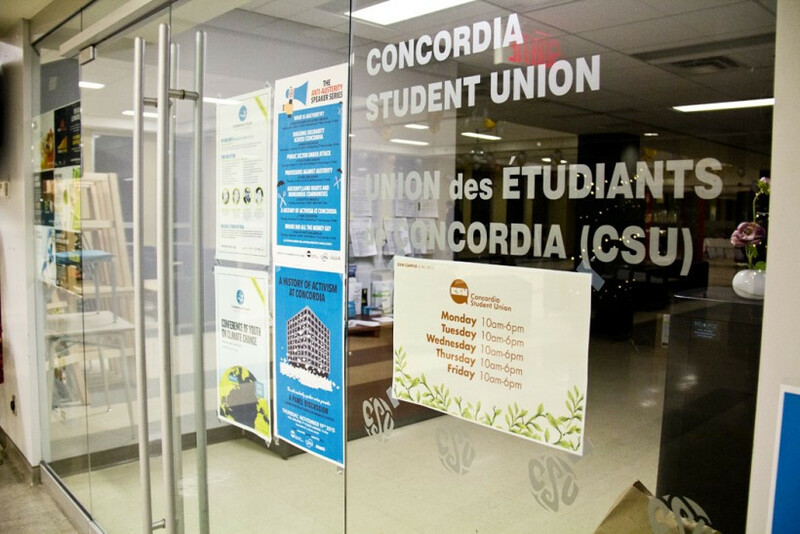 Other concerns council had with the project are that people who aren’t Concordia students would benefit from a project funded directly by the students, and that the General Manager of SEIZE would get a high salary. “I would be open to a different form of funding where we can maintain accountability and ensure project’s success,” said councillor Arad Andrew Banis.